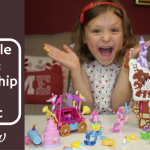 We received another fantastic toy to review from Hasbro as part of our role as blog testers for the Hasbro Toy Tribe. 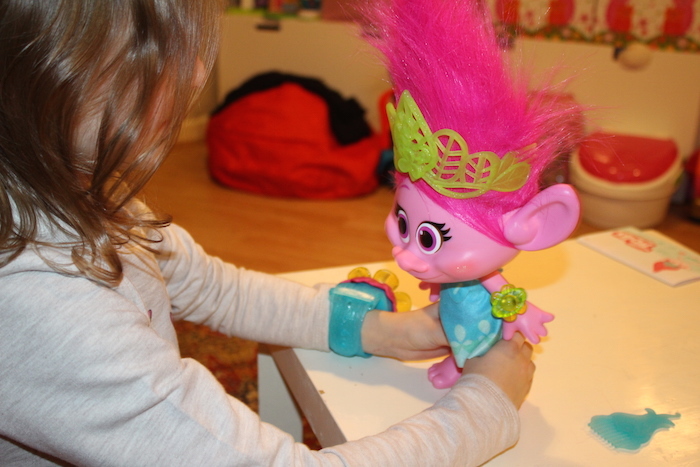 This toy is special as it is a cute Troll! 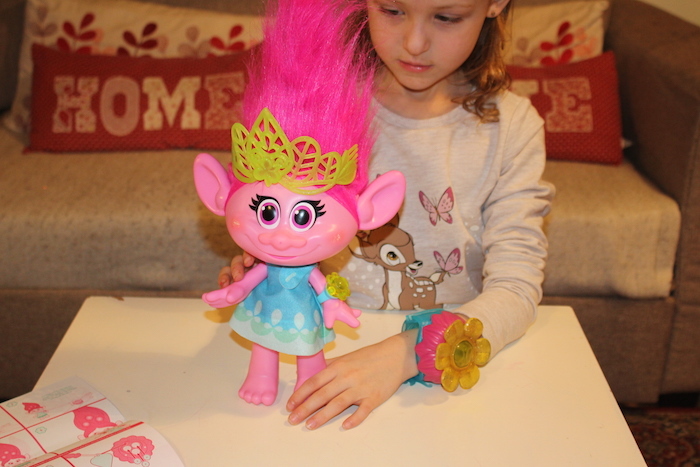 Who is not in love with these adorable trolls? 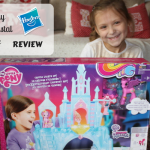 Well, Bella certainly is and she was super excited to review one. After they launched the movie, Bella has become obsessed with them and was over the moon when we received a Hug Time Poppy. 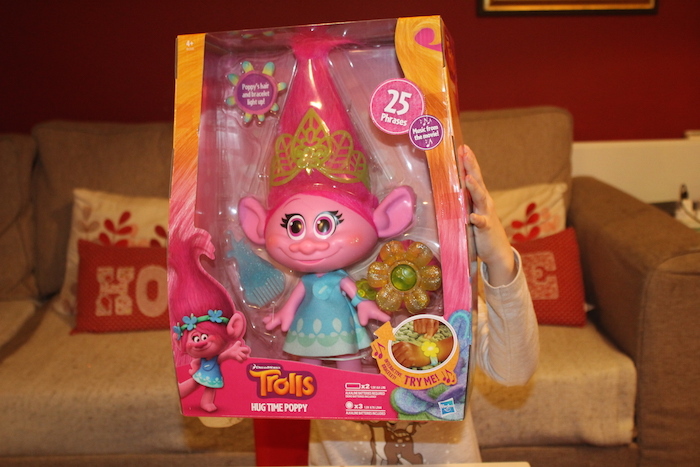 Poppy is the main character of the DreamWorks Trolls movie. 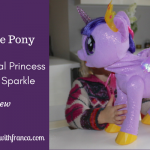 She is a lovable, colourful princess who always takes a break for Hug Time, no matter where her adventures take her! The box was big making Bella even more excited than she already was. I guess the bigger the better in our kid’s eyes, right? LOL! She was so keen to open it and for the first time just sat down and watched her do it. She was so happy, bless her! Poppy is quite tall (14 inches) which I was impressed about. 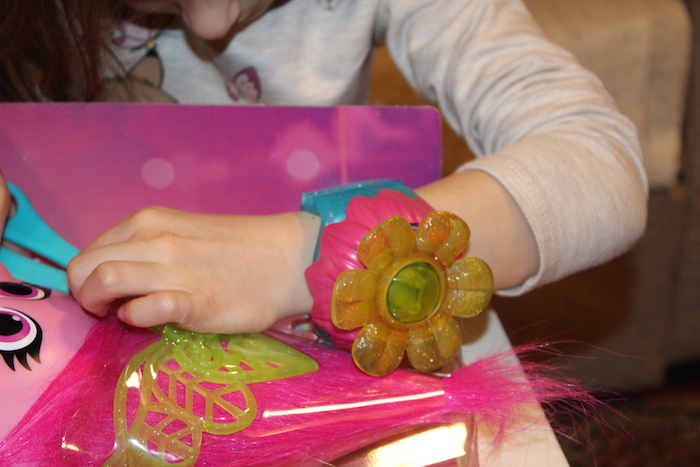 As well as the doll, the box includes a dress, tiara, comb and an interactive bracelet. Bella loves Poppy’s hair. One of the things that she likes doing is brushing her hair with the comb or with her hands. 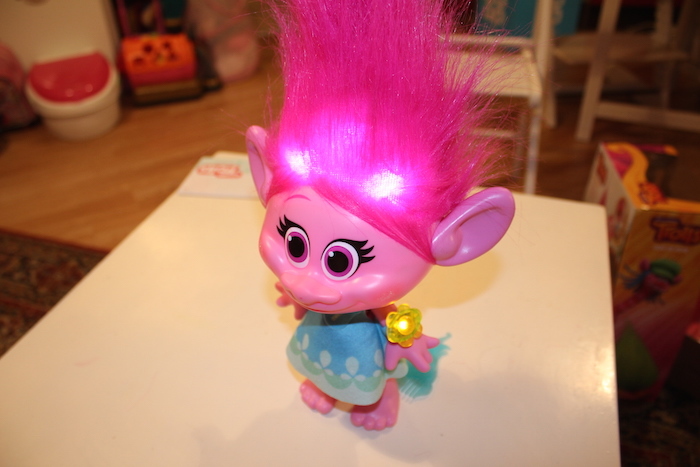 One interesting feature is that her wild hair lights up with the music. This was actually super fun! She speaks up to 25 phrases when you press her tummy. I love this as you will never get bored of the same phrases. There will always be something new to say from her. She also plays songs from the film. 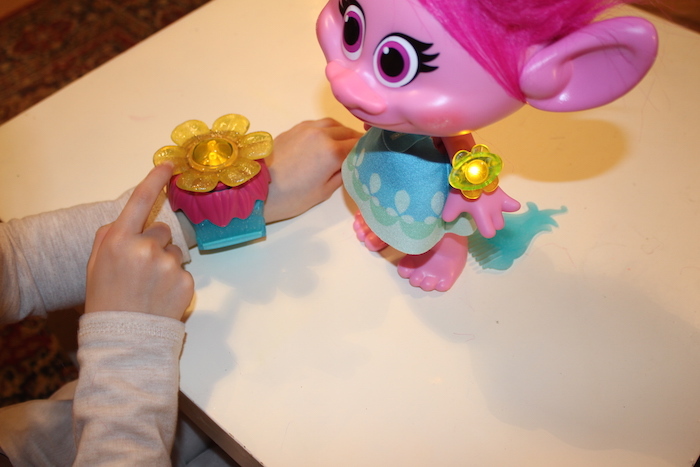 Another fun feature is that it comes with a bracelet that your kids can wear which lights up exactly like the doll. 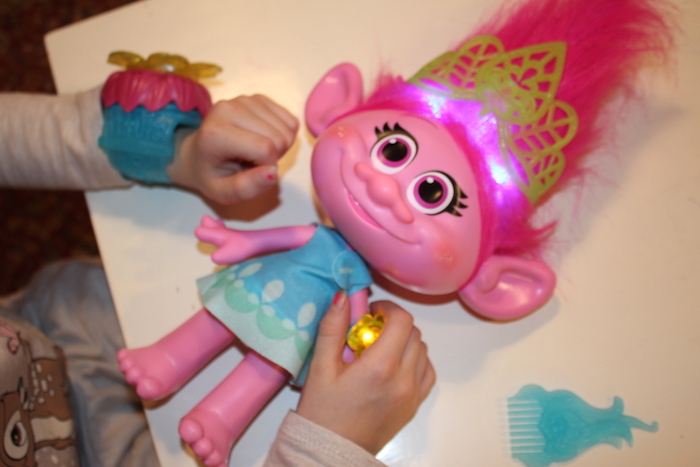 The doll also wears a small bracelet. 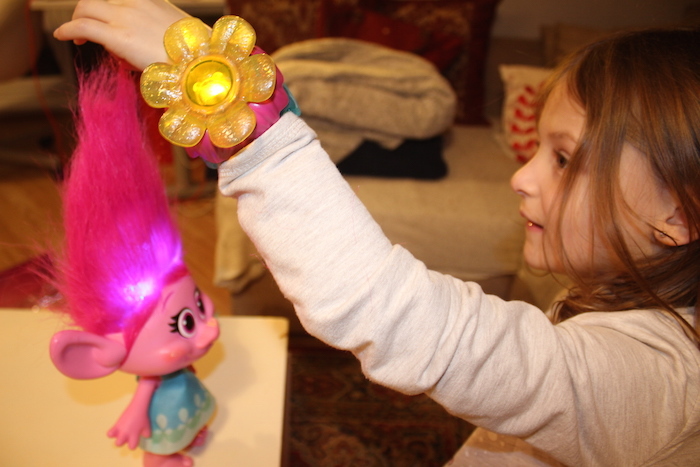 When you press the button, their matching bracelet and the doll’s hair light up to the beat of the music. How cool is that? This also works even if the doll is across the room. Sienna finds this amusing as well. She really likes seeing the doll’s hair light up and gets so excited every time she sees it. Another interesting feature is that you can rock her back and forth so that it looks like she’s dancing to the beat. Bella loves doing this too. Poppy is really fun and interactive. Have you seen the Trolls movie? 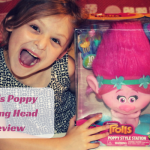 Do your kids like Poppy? 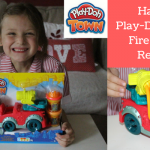 What do you think of this interactive toy? What is your favourite feature? 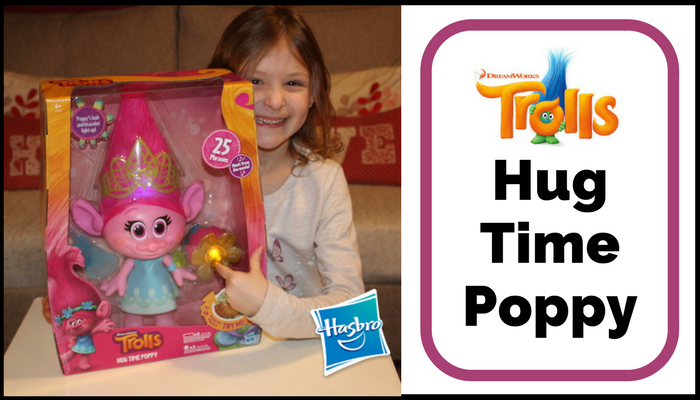 *Disclaimer: I received Hug Time Poppy as a member of Hasbro’s Toy Tribe in exchange for a blog post. All opinions and thoughts are my own. This post contains affiliate links.